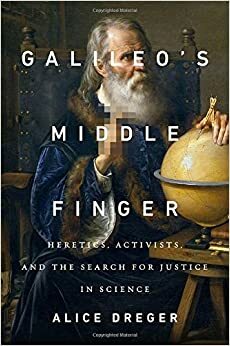 In this week's Nature, I have a review of Galileo's Middle Finger: Heretics, Activists, and the Search for Justice in Science, by Alice Dreger, a medical historian who has spent much of the past decade studying controversies in science. My review can be found here and here in PDF. The book is engaging and eye-opening. It chronicles series of issues, mainly related to the science of sexuality and gender, in which activists, a category which also includes academics, engage in professional and personal attacks of scholars whose work that they find to be inconvenient, unhelpful or just offensive to their sensibilities about how the world should work. Most academic work is like the proverbial tree falling in the forest, but every so often (and probably more often than many of us would like to think), scholarship becomes the focus of a political battle. I should know. My review was completed and filed the week before I was targeted with an "investigation" by a member of Congress for the audacity of testifying before that august body with the results of peer reviewed, government-funded research, widely accepted as scientific consensus. But even before that, my own career has led me to be sympathetic to Dreger's arguments. I have lots of experience with personal and professional attacks based on my research and advocacy. For instance, it was one year ago today that I published a piece at FiveThirtyEight on that same research, which prompted a social and mainstream media campaign to have me fired for voicing such heresies. 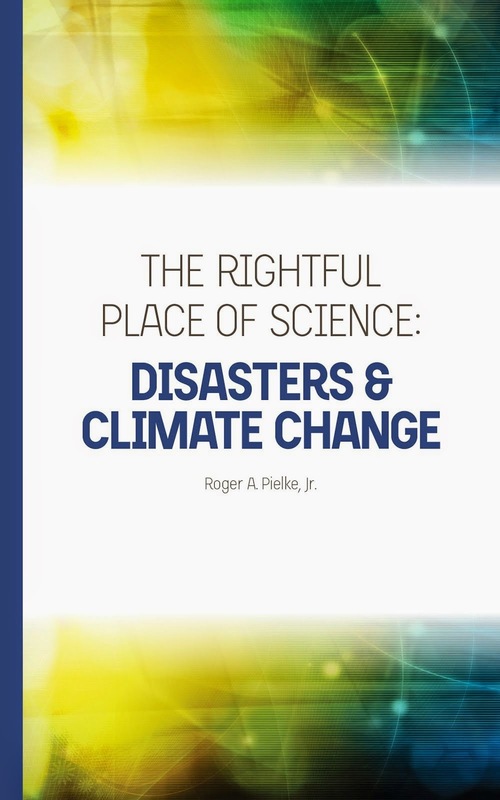 The Guardian, New York Times, Slate, Salon and even the American Geophysical Union all joined the campaign. Unsurprisingly, FiveThirtyEight succumbed to the pressure, explaining "Reception to the article ran about 80 percent negative in the comments section and on social media. A reaction like that compels us to think carefully about the piece and our editorial process." So, scientific consensus vs. Facebook likes - Guess who won? The pressures on academics to conform (or not deviate) is very high. But Dreger is an example of the rare scholar willing to take the heat for taking a good hard look at the "wisdom" of the crowd. She shows that in some instances the crowd is just a mob, utterly indifferent to evidence and scholarship. Dreger has taken many lumps for her work, but I have little doubt that Galileo's Middle Finger will secure her role as a champion of the integrity of evidence, despite the various efforts to delegitimize her and her work, which will probably continue as well. Even as her “stomach hurt from the thought of the backlash”, Dreger published her findings (A. Dreger Arch. Sexual Behav. 37, 503–510; 2008). She faced online accusations and e-mails about her funding and politics; ethics charges were filed against her with her dean. Ultimately, however, she won a Guggenheim Fellowship to look at other conflicts involving scientists and activists. Dreger ends this powerful book by calling for her fellow academics to counter the “stunningly lazy attitude toward precision and accuracy in many branches of academia”. In her view, chasing grants and churning out papers now take the place of quality and truth. It is a situation exacerbated by a media that can struggle when covering scientific controversies, and by strong pressures from activists with a stake in what the evidence might say. She argues, “If you must criticize scholars whose work challenges yours, do so on the evidence, not by poisoning the land on which we all live.” There is a lot of poison in science these days. Dreger is right to demand better. If you are interested in the politics of science in the 21st century and the challenges faced by scholars who do work deemed politically taboo, then you will benefit from Dreger's engaging writing and exploration of numerous cases. You'll also learn something about human sexuality and its many complexities. Galileo's Middle Finger will be on my fall syllabus in my graduate seminar in Science & Technology Policy. Read my full review here in PDF. Running Updates on the "Witch Hunt"